This year’s sharply differing Democratic and Republican platform statements on abortion reflect a partisan polarization on the issue that surprises no one. Ideological bifurcation between pro-choice liberals and pro-life conservatives has continued for so long that the pro-life movement’s origin as a liberal cause has been almost entirely forgotten. Yet in the early 1970s, liberals were not only part of the pro-life campaign but, in fact, were the dominant voice in the movement, shaping pro-life ideology and framing the cause as a progressive fight for the civil rights of the unborn and the value of human life. Pro-lifers’ success in framing their campaign as a human rights cause linked to the progressive politics of the antiwar movement and the War on Poverty contributed to their legislative victories in the early 1970s, when they defeated dozens of proposed abortion legalization bills. 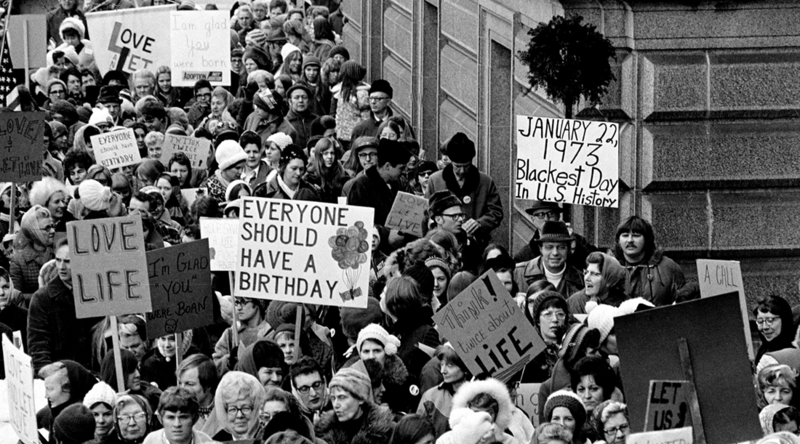 In 1972, the pro-life movement enjoyed the support of the Democratic vice-presidential nominee, as well as the most high-profile liberal Democratic senator in Washington.2 After Roe v. Wade, this situation changed: pro-lifers who found themselves marginalized in the Democratic Party made new alliances with conservative Republicans, who did not necessarily share their larger values. Yet the pro-life movement’s conversion to conservatism was never complete; the movement retained vestiges of its liberal heritage, and these traces of liberal ideology became the key to the movement’s continued political saliency. By reexamining the forgotten origins of the modern pro-life movement, this essay explores why the pro-life movement emerged on the political left (rather than on the political right, as is usually supposed), and why pro-lifers’ political success has in large measure depended on their ability to ground their message in liberal values. As Cox’s advocacy of a “truly living wage” indicated, the Catholic New Deal Democrats who opposed abortion in the 1930s embraced a theology of social obligation and care for the less fortunate that papal encyclicals such as Rerum Novarum (1891) and Quadragesimo Anno (1931) had mandated. This tradition of social teaching was based on slightly different premises than New Deal liberalism, yet there was enough correspondence between the two approaches that most Catholics of the 1930s were enthusiastic advocates of President Franklin Roosevelt’s social welfare programs. Indeed, some of the American Catholic clergy—especially Msgr. John Ryan, who served on the Industrial Appeals Board of the National Recovery Administration—often positioned themselves to the left of President Roosevelt in their calls for government aid to the impoverished and a living wage for workers. For more on the early history of the pro-life movement, see the author’s Defenders of the Unborn (Oxford University Press, 2016). But in spite of its early alliance with the politics of the left, the pro-life movement ultimately ended up on the political right. In the end, most political liberals decided to distance themselves from the movement because the liberal values of the pro-life movement—values such as the belief in the constitutional protection of all human life and the commitment to defending the lives of defenseless minorities—came into conflict with other liberal values, such as the belief in personal autonomy and the rights of women to have full equality with men and full control of their own fertility. Roe v. Wade (1973) brought this conflict to a head and ultimately led to the severing of the pro-life alliance with political liberalism by siding with pro-choice liberal arguments, while directly repudiating the central claims of pro-life liberals. This had a profound effect on American liberals. Prior to Roe, the Democratic Party had been divided over abortion, because both pro-life and pro-choice Democrats could legitimately claim that their arguments were grounded in the party’s historic liberal tradition. But by making one particular set of arguments settled law, Roe bolstered the claims of one group of liberals in this debate and tipped the balance of power in the Democratic Party in favor of pro-choice advocates who viewed abortion as a women’s rights issue. Liberal Democrats could not endorse the pro-life movement’s demands for a Human Life Amendment to the Constitution without alienating the feminists in their coalition. The safest course, many decided, was to profess personal opposition to abortion, while refusing to support any measures to limit its availability. This was the course that Senator Edward Kennedy and numerous other Democrats decided to take. But in spite of this political shift on the part of many pro-lifers, the movement’s central human rights claim—the claim that the fetus has an “inalienable” right to life—remained the guiding force for the movement, and it was a primary reason why the movement retained its political influence among young people in the rights-conscious era of the early twenty-first century. By 2009, Americans aged 18-29 were more likely than their counterparts in any other age group to say that abortions should be illegal in all circumstances.18 Young people who oppose abortion today do so because they believe that abortion violates a fetus’s right to live. They have probably long since forgotten the New Deal Democrats or the antiwar liberals who contributed to their movement’s formation in an earlier era. But they have not forgotten these pro-lifers’ central argument, which is that the fetus is a person deserving legal protection. The contemporary pro-life movement may not have the support of liberal politicians in Washington, but its continued use of rights-based language has allowed it to retain an appeal that is possible only because of the movement’s liberal origins. Daniel K. Williams, Ph.D., is associate professor of history at the University of West Georgia, where he teaches courses on modern American politics and religion. He was a William E. Simon Visiting Fellow in Religion in Public Life at Princeton University through the James Madison Program. He holds a doctorate in history from Brown University and a B.A. in history and classics from Case Western Reserve University. Williams is the author of two books published by Oxford University Press: Defenders of the Unborn: The Pro-Life Movement before Roe v. Wade (2016) and God’s Own Party: The Making of the Christian Right (2010). 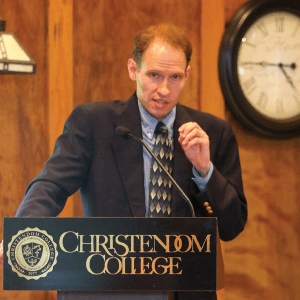 He has also written for a wide variety of academic and popular publications, including the Journal of Policy History, Politico, and Public Discourse, and he currently serves on the board of the Conference on Faith and History. L. Lague, “Youth Pro-Life Rally Has Anti-Abortion Theme,” Washington Star, September 4, 1972; N. McCarthy, “Monument Rally Stresses Rights of the Unborn,” Catholic Standard, September 7, 1972. The high-profile liberal senator who supported the pro-life cause in the early 1970s was Edward “Ted” Kennedy. The Democratic vice-presidential nominee was Sargent Shriver. “Catholics to Fight Birth Control Aid,” New York Times, June 10, 1937; ìPhysicians Split on Birth Control,î New York Times, June 11, 1937. “Catholics Draft Human-Rights Aim,” New York Times, February 2, 1947. T. R. Taylor, “A Lawyer Reviews Plan for Legalized Abortions,” Linacre Quarterly 26 (November 1959): 137; U.N., Declaration of the Rights of the Child, December 10, 1959. “For Abortion Law Reform,” New York Post, June 24, 1966. M. C. Segers and T. A. Byrnes, Abortion Politics in American States (M. E. Sharpe, 1995), 3. R. A. McCormick, “Aspects of the Moral Question,” America, December 9, 1967, 719. G. Grisez, Abortion: The Myths, the Realities, and the Arguments (Corpus Books, 1970), 2, 336-339. Michael A. Taylor, “Birthright,” Catholic Family Leader, October-November 1970, 1. Speech, West Virginians for Life annual banquet, October 1982, Mary Winter Papers, Schlesinger Library, Harvard University. MCCL, Articles of Incorporation, June 7, 1968, folder: “Minnesota Citizens Concerned for Life, 1968,” box 4, NDRLA, North Dakota State Historical Society. MCCL pamphlet, folder: “Correspondence, 1970-1972,” box 2, NDRLA. H. H. Ward, “Dearden Ties War Protest to Fight against Abortion,” Detroit Free Press, September 29, 1972; “Two ‘U’ Students Push ‘Liberal’ Drive against Abortion,” Minneapolis Star, October 2, 1971. E. M. Kennedy to Mrs. E. J. Barshak, August 3, 1971, folder 31: “MORAL (Mass. Organization to Repeal Abortion Laws), 1970-1974,” box 2, Patricia Gold Papers, Schlesinger Library, Harvard University. 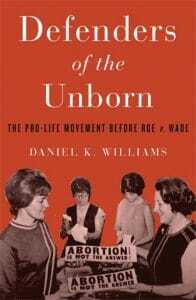 D. K. Williams, Defenders of the Unborn: The Pro-Life Movement before Roe v. Wade (Oxford University Press, 2016), 2; D. J. Garrow, Liberty and Sexuality, 2nd ed. (U. of Calif. Press, 1998), 538. L. Goodstein, “Rev. R. J. Neuhaus, Political Theologian, Dies at 72,” New York Times, January 8, 2009; R. J. Neuhaus, ìIraq and the Moral Judgment,î First Things, October 2005. L. Saad, “Generational Differences on Abortion Narrow,” Gallup, March 12, 2010.